The bandwidth was not robust enough for high def video. The audio and video was choppy and breaking up. When resolution was lowered, streaming improved. The sound was excellent. I was surprised the live feed did not continue into the second set after the break. There was no indication of the end of the show for viewers. 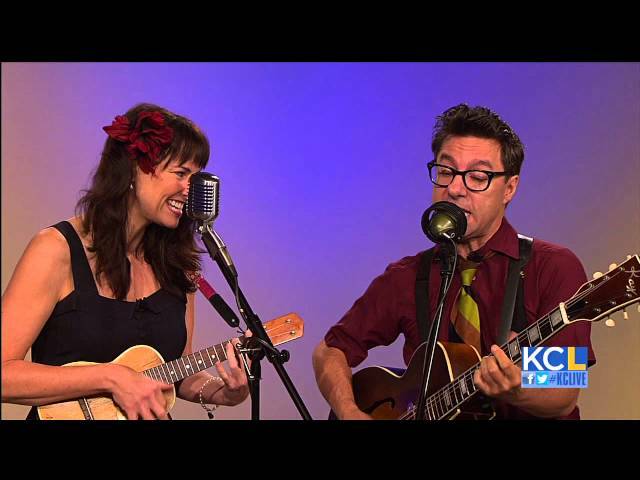 With tight vocal harmonies, fearless feats of guitar daring and a fiery ukulele, Victor & Penny bring a modern voice to prohibition era jazz and clever original tunes. Celebrating a time when style mattered, antique pop duo Victor & Penny impress and delight with charm and hot licks - they are "...an absolute rollicking blast." Victor & Penny were 2013 Escape-To-Create artists-in-residence in Seaside, FL. The duo is touring the USA again in 2014 having spent over 200 days on the road in 2013. Victor & Penny are Jeff Freling (Blue Man Group, Chicago) and Erin McGrane (George Clooney's, "Up in the Air" and cabaret troupe Alacartoona).